Hassan Joho under house arrest as allegedly said by Regional co-ordinator Nelson Marwa. - Bana Kenya News, Real African Network Tubanane. Home Mombasa Hassan Joho under house arrest as allegedly said by Regional co-ordinator Nelson Marwa. Hassan Joho under house arrest as allegedly said by Regional co-ordinator Nelson Marwa. The Mombasa Governor to be under house arrest and will not attend the rally at Tononoka today unless otherwise. According to the Coast region police boss Mr Nelson Marwa, the governor has had a difficult time in the region because of the insulting president and today nothing different. He will be under house arrest until tomorrow. 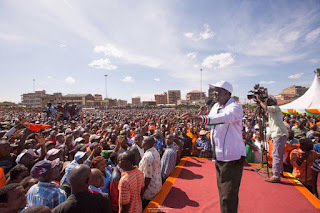 The Governor was expected to attend the rally together with other governors on the ODM declaration rally. The Governors who are expected are Amason Kingi(Kilifi), John Mruttu(Taita Taveta) and Hassan Joho(Kilifi). The Coast region had so many governors but now the majority of them were taken away by the national party. All ODM aspirants are also expected with their supporters across the region. The Affiliate NASA party will also look for the required support as the wiper has a lot of influence that ODM recently. The Coast ODM leaders are the ones responsible for the party problems along the coast.